Do you want to play more than three courses or play more than 18 holes in one day' Not a problem! You can play 36 holes of golf at two different courses or an additional round on the same course! 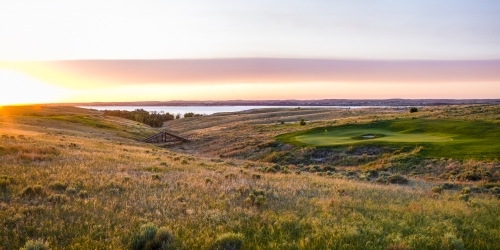 Bayside Golf was rated a 4-star course by Golf Digest and rated #2 public access course in Nebraska by Golf Week. Heritage Hills Golf Course, with its rolling hills and undulating greens, was considered one of the "best 75 golf courses" by Golf Digest in 1984. Meadowlark Hills was rated by "Golf Week Magazine" as the #5 best public access course in Nebraska in 2002 and rated by "Golf Digest" as the #6 best public course to play in Nebraska 1996. Cross Creek Golf Links is a championship 18 hole course located in Cambridge, NE. Stretching over 7200 yards, it was the longest course in the state when it opened in 2001. Lake Maloney Golf Club was built in 1958 with sand greens and then converted to grass greens in 1993.